So what does it do. Well, basically it checks now whether you have text selected or not2. 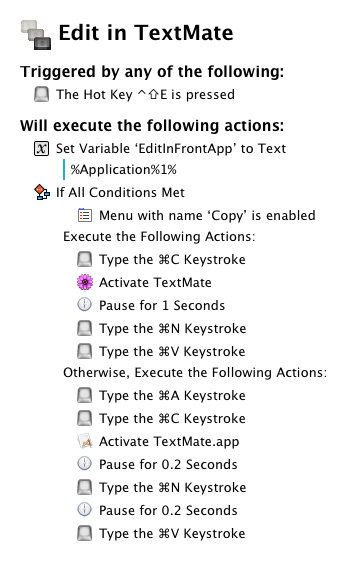 The macro then does either a ⌘A followed by ⌘C, or a ⌘C only when there was a text selection already. 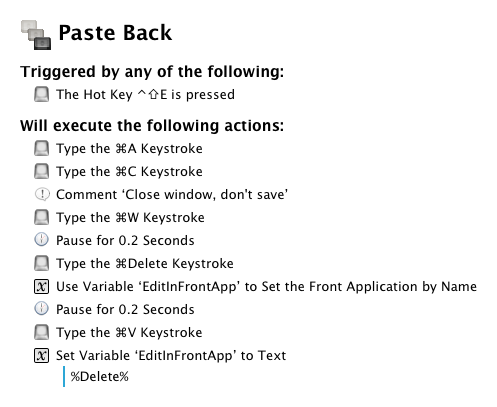 The macro(s) also remember the frontmost app and when you Paste Back this app is reactivated. You may want to add these to your Global Macro Group. Shortcut is ⇧⌃E. Type ⇧⌃E → E, and ⇧⌃E → P.